Dr Ravindra Ranasinha, Drama-Therapist and Sociologist from Sri Lanka speaks on 'Post-Conflict Reconciliation Action as A Social Worker' at the School of Letters, MG University, Kottayam, Kerala on August 14, 2017. 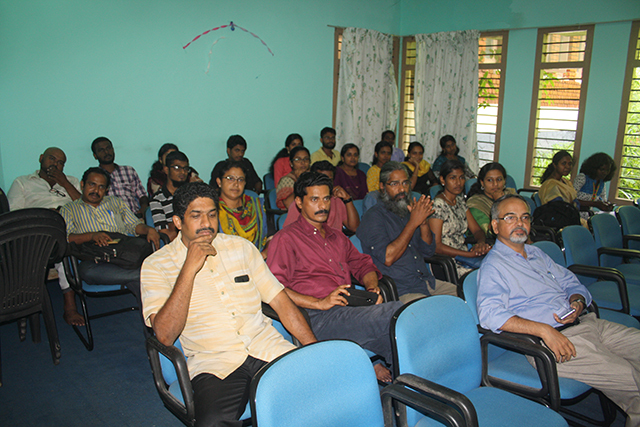 Friends of Tibet in association with the Mahatma Gandhi University organised 'Post-Conflict Reconciliation Action as A Social Worker' talk by Dr Ravindra Ranasinha at the School of Letters, MG University, Kottayam, Kerala on August 14, 2017. Kottayam, Kerala: This was the third talk of the India Lecture Series by Dr Ravindra Ranasinha, the renowned Social Activist, Educationist and Reformer from Sri Lanka. Dr KM Krishnan, Professor of English, welcomed the gathering and Dr VC Harris, Director, School of Letters, MG University, Kottayam, Kerala proposed the vote of thanks. Although the talk was held in an informal manner, there were fruitful discussions which involved Dr Biju Lal, Asst Professor in Politics, School of International Relations and Politics and a number of students participating actively in the discussions. 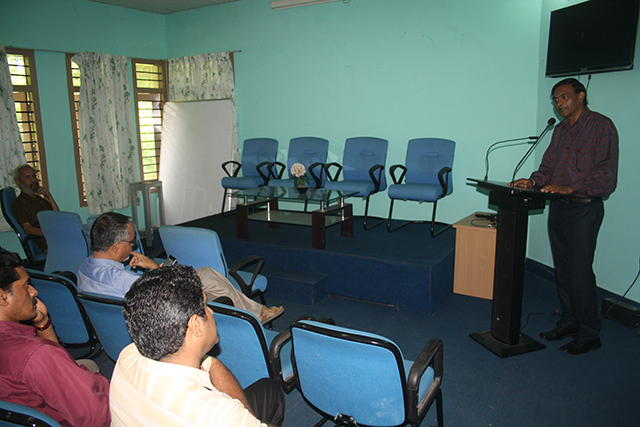 Dr Ranasinha spoke in detail about the civil war and how it affected not only the Tamils, but all Sinhalese communities. He called the civil war an open wound which needed cleansing in order to heal. Both parties were affected by the wound and one needed to find ways applicable for both to solve the problem. He defined the role of the social worker as a wound healer who is able to get to the crux of the problem like a doctor, to operate and remove every trace of it. For a generation traumatized by 26 years of war, no ordinary balm will do. It requires long term intensive therapy. But Sri Lanka is in a hurry to heal and move on. It has to regain lost ground as the rest of the world progressed economically and technologically while it was embroiled in war. This is the situation confronting social workers like Dr Ranasinha as they go about providing the healing touch to the affected people. They have to find ways and means to do their work effectively and quickly. It is in this context that Dr Ranasinha employs techniques sourced from literature and art. Dramas, short stories and poetry are used as balms for treating wounds. They help a person to introspect. By finding similarities in their stories and the stories in literature and drama, people feel like they are not alone in their suffering. Dr Ranasinha uses Drama-Therapy and Psychotherapy to heal the individuals suffering from Post-War Trauma. Describing the damage caused by war, Dr Ranasinha mentioned how people's psyche's have splintered into several fractions. They cannot come to terms with who they have become and they do not remember who they were before the war. They find it difficult to become whole again as there is a conflict in their mind. Even as the war outside has stopped the war inside their mind rages on. They have lost their identity and culture — this Dr Ranasinha believes is the worst damage. When people lose their identity they feel rootless. Several communities have lost their literature and historical records too, so they cannot even go back and read about who they were as a people. He talked about how the loss and erosion of culture was not gradual but carried out by force. Uprooting people from their culture is what is sought by war and it's the most disastrous aspects of war and conflict. He has a difficult task as he goes about providing a healing touch to the communities ravaged by war, dealing with Post-War Trauma. Social workers and NGO's in Sri Lanka are using all tools available to them to help people deal with this trauma. Dr Ranasinha is a pioneer in using Drama Therapy to heal the effects of war in Sri Lanka. He has published many articles and books on the subject.